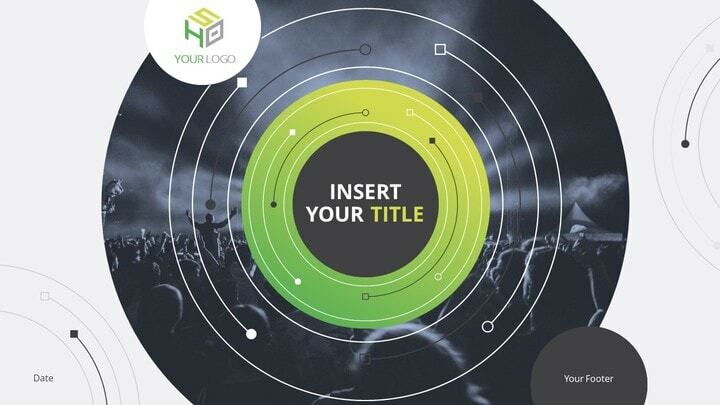 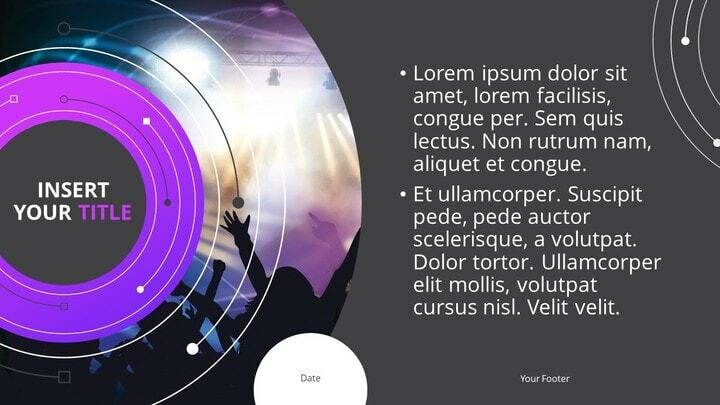 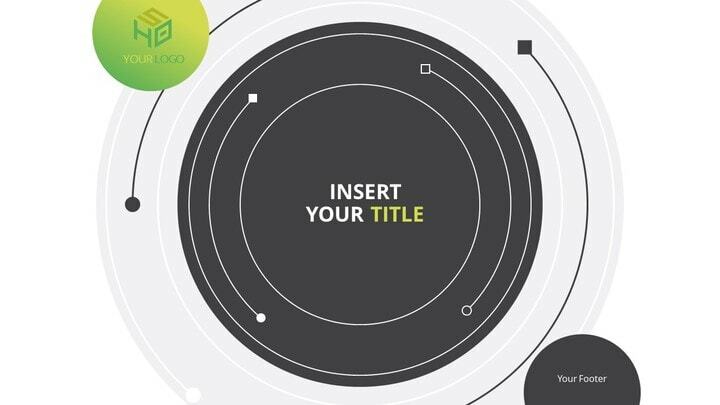 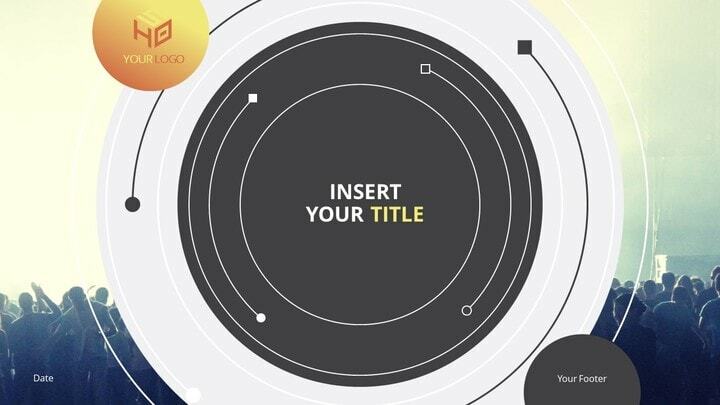 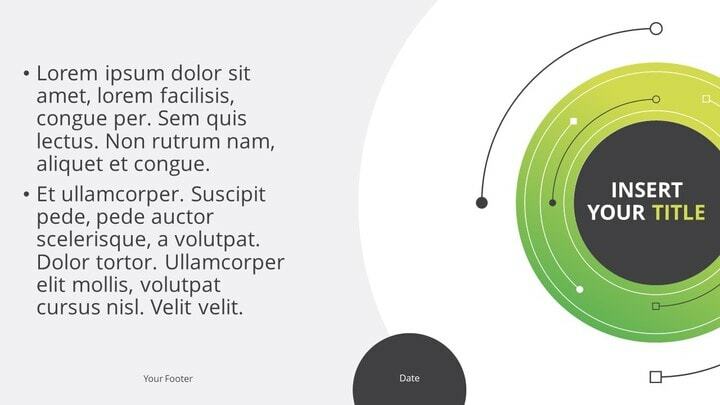 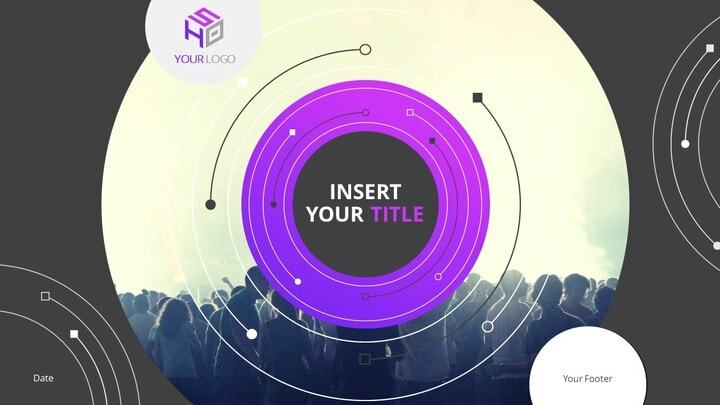 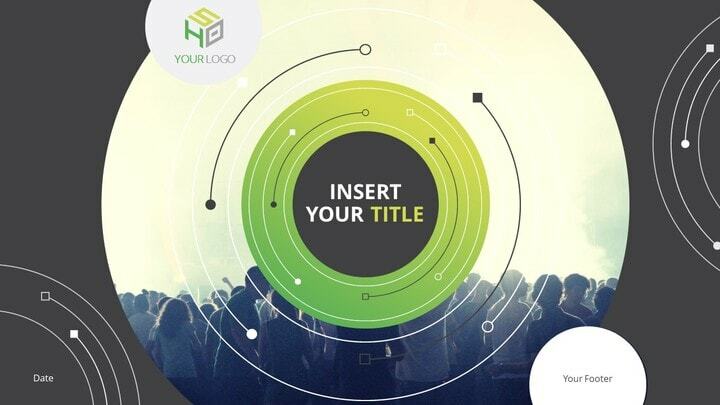 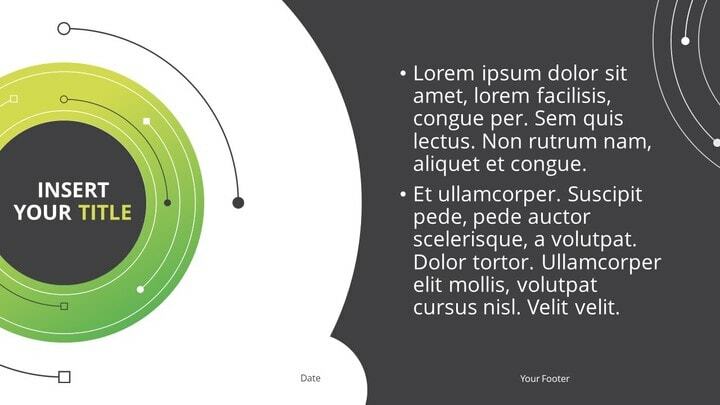 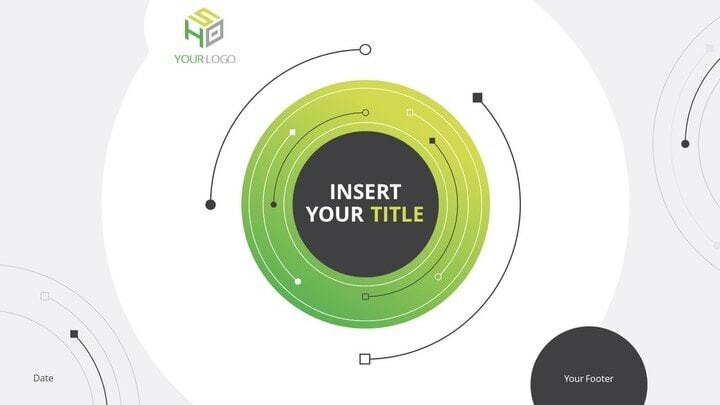 The circle and circular line graphics that evoke a vinyl record obviously make this template perfect for any music-related presentation. 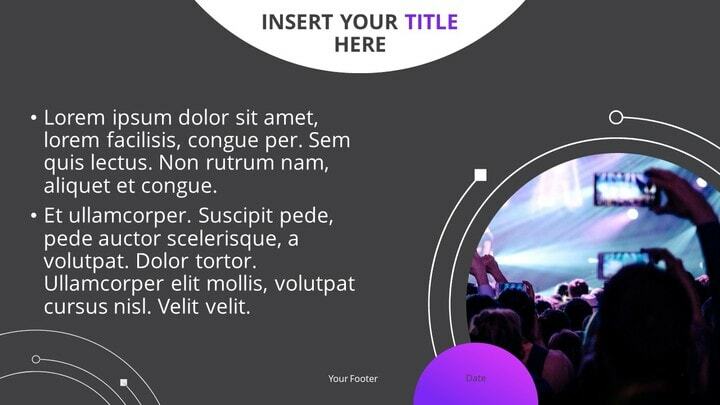 But not only: this template is built to allow you to customize the ambiance of your presentation with your own photos. 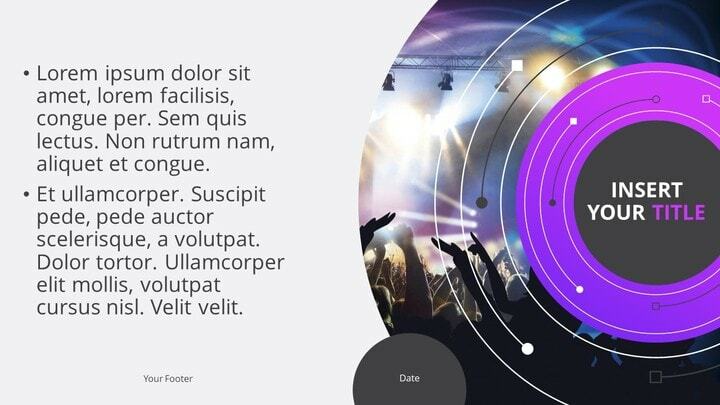 You can choose among 3 ready-to-use gradient color (built-in) design options: orange, green and purple. 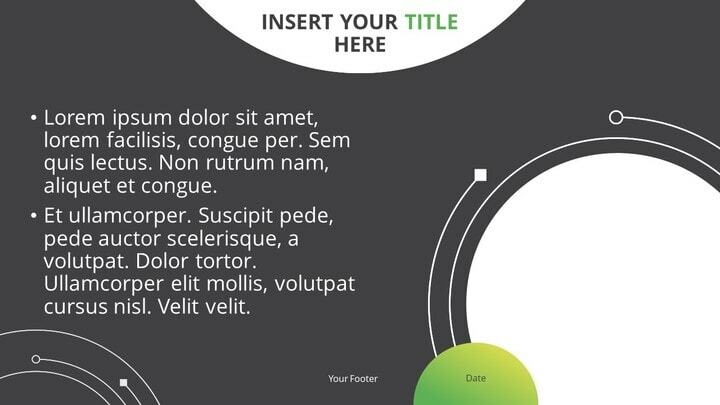 It contains a selection of 8 custom-made slides, ready to be used ‘as it is’. It is based on Master Slides: the format and styles (font, letter sizes, placeholders, colors) of each slide are already formatted, optimized and then very easy to use. 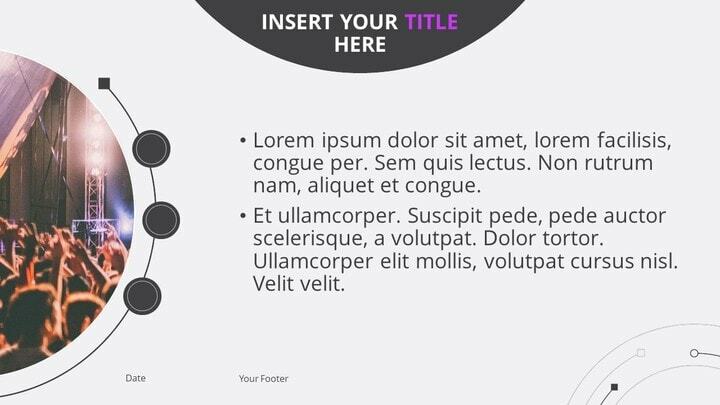 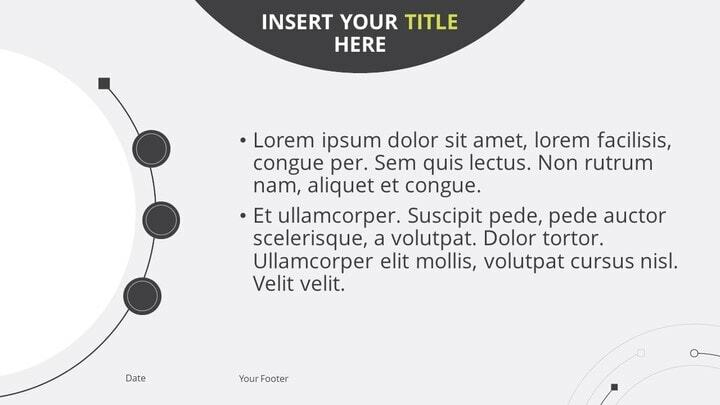 Slide variants include cover, section and title/content slides. 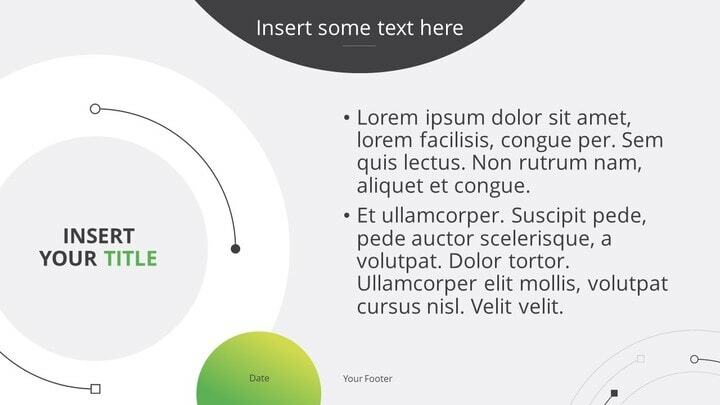 This template is completely editable. 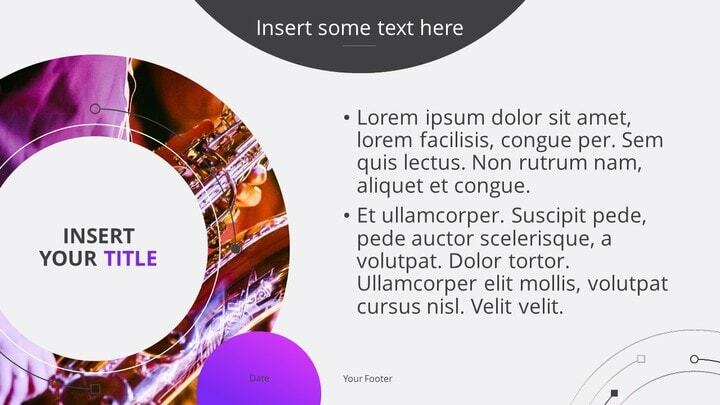 You can easily customize the colors of each single shape (for that, you need to go to the master slide section – go to “View” >> “Slide Master”). 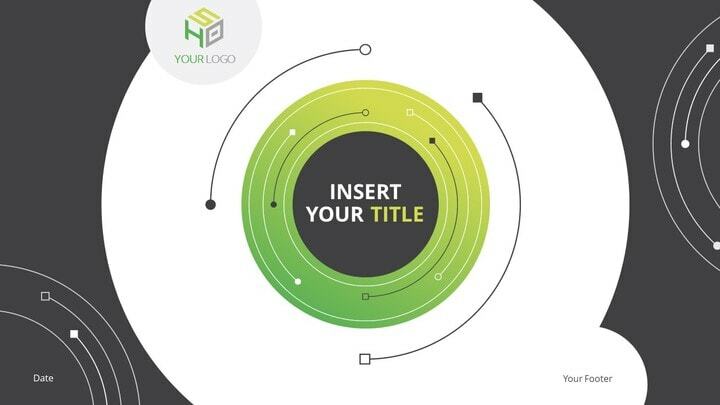 You can also insert your own photo(s) or simply use the templates with no photo… To insert your photo in the background: right-click >> Format Background >> select Picture or texture fill >> File and select/insert your photo. 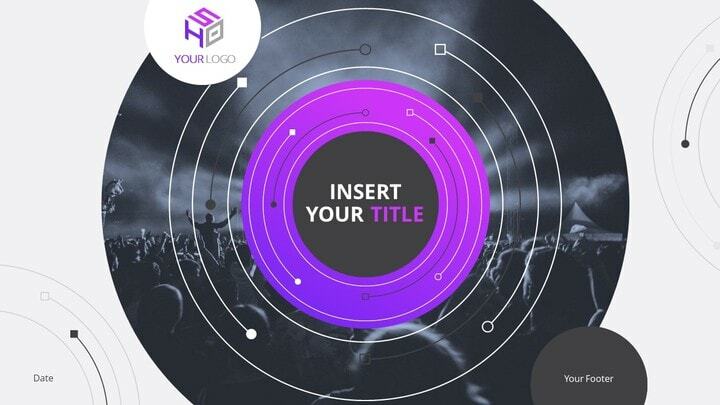 How to Insert your Photo in the Background? 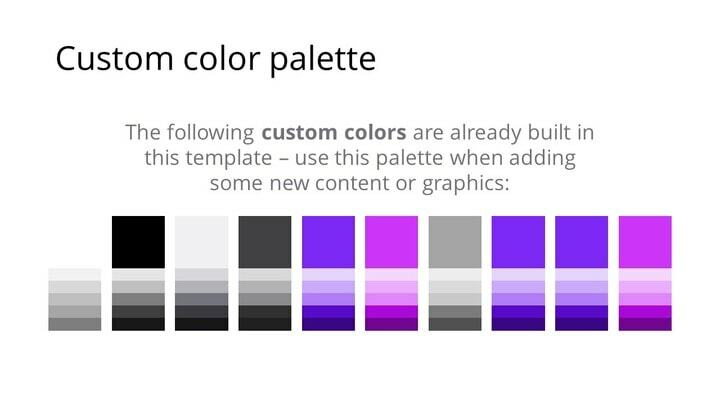 None of the 3 color variants offered don’t suit your needs? 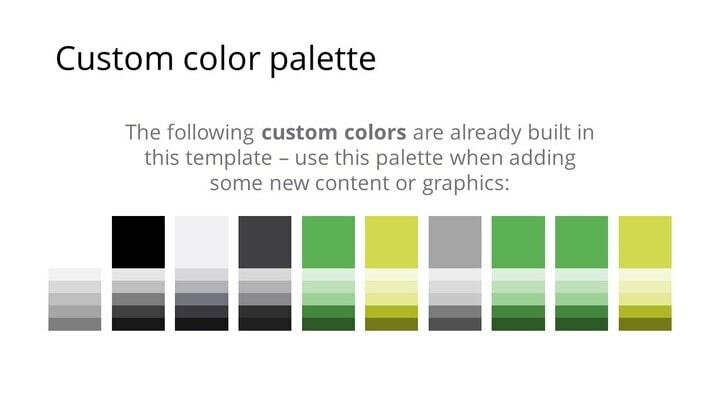 No worries, you can still with just 1 click change the color theme of the whole template. 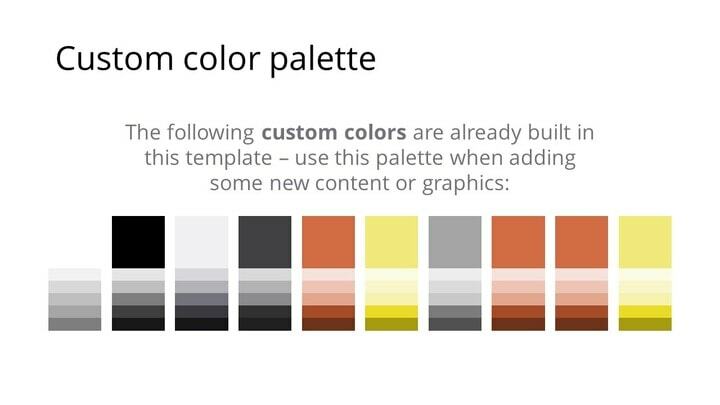 To apply a new or to customize color palette, go to “View” >> “Master Slide” >> “Colors” and select an existing palette or customize yours. 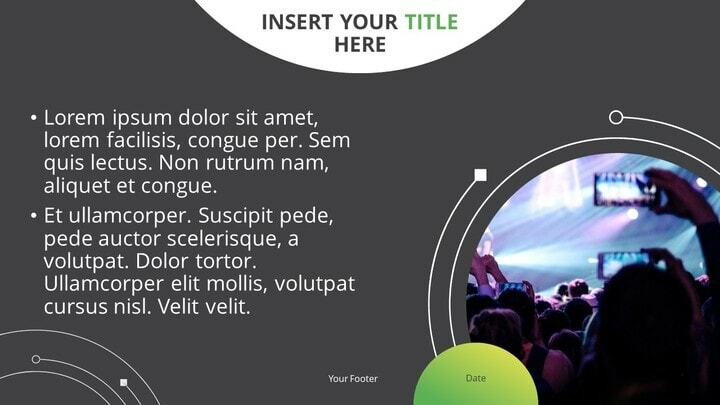 The photos shown in the preview are for illustrative purposes and are not included in the PowerPoint files. 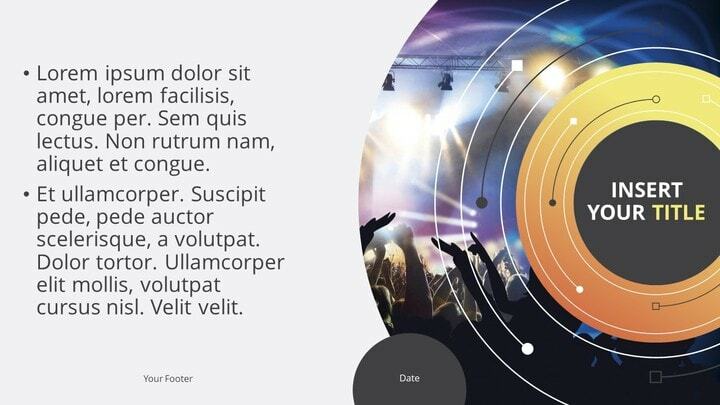 Download ‘Vinyl – Yet Another Creative PowerPoint Template’ for free!